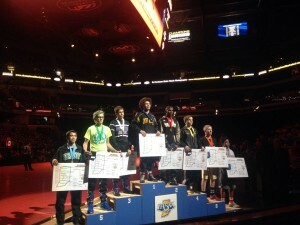 The Perry Meridian Falcons had 4 wrestlers place in the State Finals this past weekend. 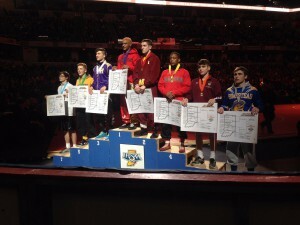 Finishing in 7th place were Senior DJ Brookbank at 132 pounds and Sophomore Noah Warren at 160 pounds. 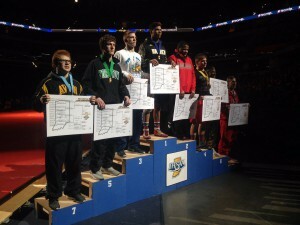 Freshman Sammy Fair finished 5th at 106 pounds. 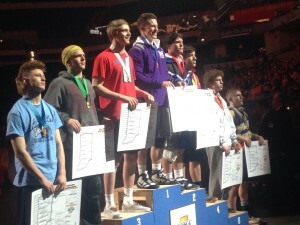 Senior Brett Johnson finished one match out of the Finals and placed 3rd at 152 pounds. Congratulations to the Falcon wrestlers for another outstanding year.